Dr. Kramer is a retired Clinical Associate Professor of Medicine in the Department of Gastroenterology at Stanford University and Associate Chief of Gastroenterology at Santa Clara Valley Medical Center in San Jose CA., which is a safety net and teaching hospital that serves as one of the Stanford teaching sites. He has 25 years of experience in the private practice of Gastroenterology. 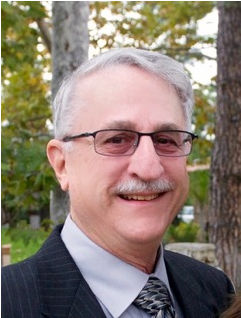 Despite a full career in private practice, Dr. Kramer joined the voluntary teaching staff in the Division of Gastroenterology at Santa Clara University and Stanford Medical Center in 1978, to help educate house staff and fight tirelessly as a patient advocate for the underserved. Then in 2003, he made the decision to leave his private practice to work full time at Santa Clara Valley Medical Center because education was so important to him. He formally retired in 2015, but decided to return part-time seeing patients and educating house staff in 2016. Dr. Kramer is a Fellow of the American Gastroenterology Association and belongs to the American Association of Liver Diseases (AASLD) and American Society of Gastroenterological Endoscopy (ASGE). He is also a dedicated member of the Santa Clara County Medical Association and was an Alternate Delegate to the California Medical Association for two years.